Compact 100% waterproof waistpack for carrying essentials on or off-road. 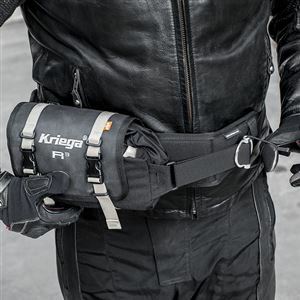 This 3-liter waistpack includes a single Kriega alloy-buckle version of Kriega's unique fit system. Allows quick adjustment without any loose ends. Roll top with a white liner.